What clothes do we wear? The costumes we wear, the day gestation. No clothing, but clothing as they went in the week from home. For men is a blow pants with suspenders, striped blouse with a black vest and cap. Black wool socks and white sanded clogs.The men also have a “goa stick”. For the ladies: a jacket and skirt and striped skirt bays, still below the long white underpants. 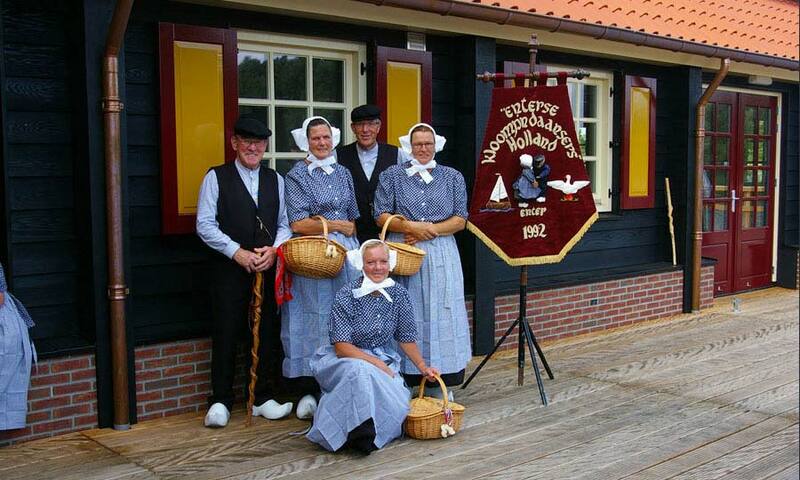 Also, they wear black woolen stockings and white sanded clogs. The apron was starched and pressed into cubes. 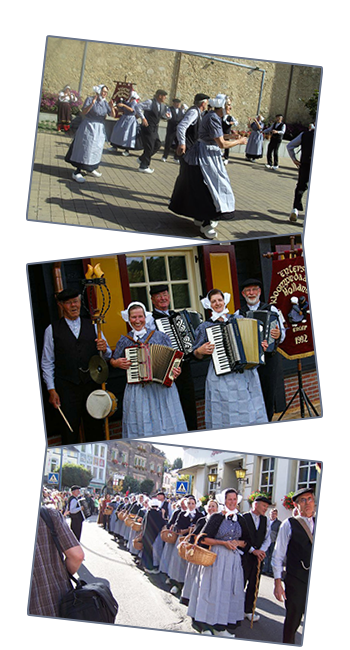 On the head they wore a kaapje (polka hat), it is made of lace and cotton. Jewelry were not worn here.